Fill out the form with any questions or inquiries you have for the sales consultants at Hobson Hill. You can also call or chat with us for immediate responses. 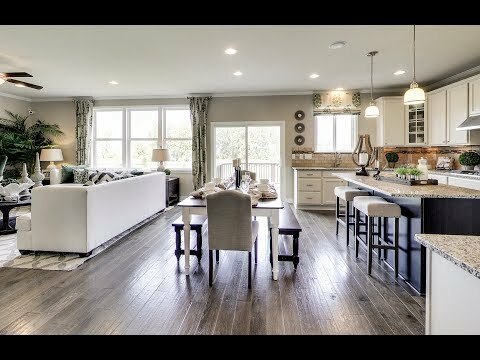 The Everett is perfect for families looking for a home designed with an open concept and wonderful flow. The view into the great room is unobstructed from the kitchen or casual eating area making the space ideal for visiting with family and friends. The second floor features four bedrooms, including an owner's suite and private bath, along with an optional loft. Step inside Everett to see the Life-Tested Home Designs® with more usable space where you want it most. So you live the way you want to live. The Everett is known for its functional and comfortable design. The living room and dining room conveniently direct company into an open kitchen and family room. The second floor features four bedrooms, including an elegant owner's suite with private bath and his and hers walk-in closets. The Everett is known for its functional and comfortable design. The living room and dining room conveniently direct company into an open kitchen and family room. The second-floor features four bedrooms and an elegant owner’s suite with private bath.